GroVia Gro-ing, Gro-ing, GONE Giveaway! Fuzzi Bunz Light It Up Blue Giveaway WINNER! Mother Tucker Nursing Tank Giveaway! Fuzzi Bunz Mystery Print SALE! The Big Latch On Round-Up! 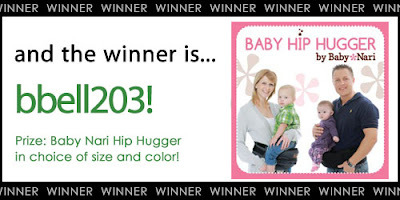 Baby Nari Hip Hugger Giveaway WINNER! The Great Latch On- Final Details! 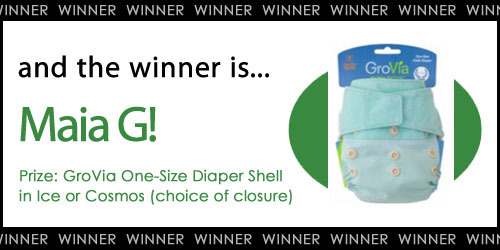 Planet Wise Green Giraffe Pail Liner WINNER! Fuzzi Bunz Light It Up Blue Giveaway! Get Yours Before They're GONE Giveaway! Blueberry Daytime Trainer Giveway WINNER! It's very common for mothers-to-be to outgrow their pre-pregnancy bras during pregnancy before baby is born. Many women often want to purchase nursing bras at this time, but it's hard to determine what their size will be once baby is born. After birth, women's band size (around their rib cage) often goes down as baby drops out, and their cup size often goes up as their milk comes in. Generally, 4-6 weeks after baby is born is when a mother's bra size regulates. The Bravado Original Nursing Bra is the answer to the problem of bra sizing! This stretchy, yet supportive bra allows for variation in the band and cup size. It's certainly a bra that will last you from your third trimester, into your first several weeks after birth, all the way through the entire time you decide to nurse! This bra is supportive enough for daily wear, but comfortable enough even to sleep in! It's available in 6 colors and a wide range of sizes. 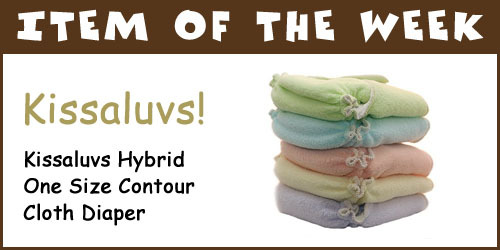 Kissaluv's Hybrid One Size Contour Diaper is soft, easy to use and economical! They have elasticized legs and the freedom of using your own closure system. Kissaluv's Hybrid One Size Contour Diaper is made of superior custom knit cotton fleece that is super soft and durable. Kissaluv's Hybrid One Size Contour Diaper is one size - fitting babies 7 - 35 pounds! To adjust the size, simply fold or tuck the front and/or back to adjust the rise. The elastic at the legs is sturdy but gentle and will prevent blowouts. You can use Snappi, pins or a snug fitting cover for your closure system. Using Kissaluv's Super Soaker with this contour diaper will enhance absorbency. The fit will be trim, but the diaper will be super absorbent. Kissaluv's Hybrid One Size Contour Diaper is available in Unbleached and Kissaluv's colors: Lime, Sky, Melon, Lemon, and Berry. After my first son was born weighing in at 9 pounds 11 ounces, I was lucky enough to lose most of the weight that I carried throughout my pregnancy in the first several months, much of it thanks to breastfeeding! I was comfortable enough less than 6 weeks later to get into pre-pregnancy dress pants and tops for the Christmas holidays. When my second son arrived 19 months later, my body was not snapping back like it had before. I was watching what I ate (especially so, as my son had some allergies) but for the first 6 weeks, exercise was out of the question (not to mention next to impossible to find time for with 2 under 2!) How was I to be expected to enjoy the summer outdoors with my boys when I wasn't even comfortable in my own skin? Enter... the Mother Tucker! Not long after I started working at Nicki's Diapers did I discover this wonderful product. 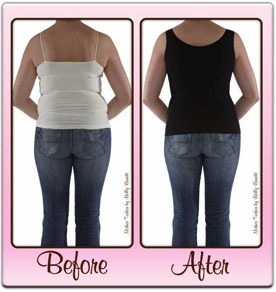 It's a compression tank top that smooths over the dreaded Mommy Muffin Top. It's comfortable and not overly heavy. I found it to be completely discrete under clothing, but I also chose to wear it occasionally on it's own! It gave me the confidence and motivation to get back into my pre-pregnancy wardrobe and allowed me to enjoy my time with my boys, rather than worrying about what I looked like. Belly Bandit, maker of the Mother Tucker, has since gone a step beyond and above! They recently released the Mother Tucker Nursing Tank! It has all the features of the original Mother Tucker but with convenient slide-over cups for discrete nursing. With my THIRD boy due this fall, you can bet that I will be making sure the Nursing Mother Tucker is part of my after-baby wardrobe! Belly Bandits and Mother Tuckers are a favorite of celebrities like Kourtney Kardashian, Halle Berry, Christina Applegate, and Jennifer Garnder. We all may not have access to 24/7 chefs and personal trainers, but this is one tool that we can all have to help us get our stylish mommy figures back! Belly Bandit was so generous to sponsor a giveway to give one of our lucky blog followers a Mother Tucker Nursing Tank of their own! We will post our winner on Friday, September 9th! REQUIRED! Like Belly Bandit on Facebook! Like Nicki’s Diapers, Planet Wise, and Best Bottom Diapers on Facebook - Be sure to state your facebook name when you post back here. Tag @nicki's diapers or @best bottom diapers, or @belly bandit in a facebook post. 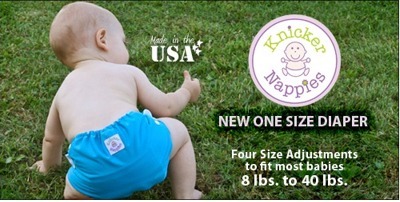 Place an order at nickisdiapers.com, myswimbaby.com or clothdiaperclearance.com between 8/16/11and 9/8/11. Include your order number in your entry. Tell us what your secret was to getting into shape post-baby! 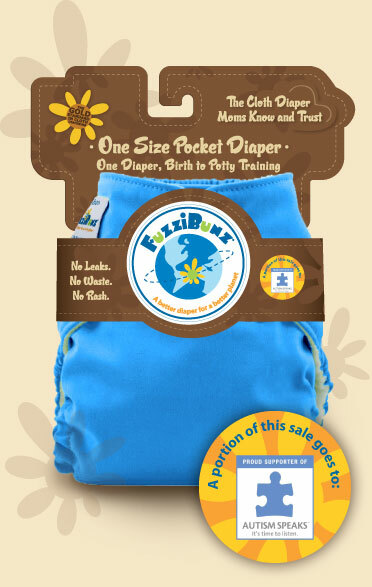 Now through September 30th, Buy 6 FuzziBunz® One Size or Perfect Size and get 2 free diapers! There is no limit to the number of free diapers you can receive! 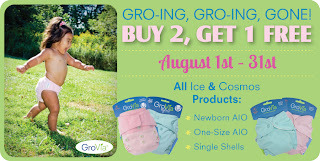 Buy 12 diapers and get 4 free, buy 18 and get 6 free, etc.! You can buy either all One Size, all Perfect Size or buy a combination of both! 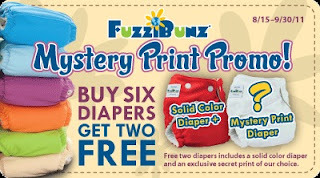 To get your free FuzziBunz® Diapers, fill out, print and mail the Rebate Form (located HERE) along with your receipts and UPC codes to FuzziBuzz and you will be sent your free diapers. For each 6 diapers you buy, you will receive 1 solid color and 1 mystery print diaper! See the new, secret prints even before the retailers! Beco Baby Carrier is proud to sponsor this giveaway of one of their NEW Gemini Prints! The winner of this giveaway will receive a Beco Gemini Baby Carrier in NEW Apple or Carnival Print (winner's choice)! We will post our winner on Thursday, September 1st! Like Beco Baby Carrier on Facebook- REQUIRED! Tag @nicki's diapers, @bestbottomdiapers, or @Beco Baby Carrier in a facebook post. Place an order at nickisdiapers.com, myswimbaby.com or clothdiaperclearance.com between 8/14/11 and 8/31/11. Include your order number in your entry. Tell us where you would wear your Beco Gemini Baby Carrier! For a limited time, ALL Beco Baby Carriers on are SALE! ALL Baby Carriers ship for FREE at Nicki's Diapers! We want to say a huge THANK YOU to all the Moms and Babies who came out on Saturday, August 6th to join us for The Big Latch On! We had 30 participates at our Madison Retail Store and a wonderful time was had by everyone! Final counts for the Nation-Wide event, organized by the LLL, are rolling in! We look forward to hosting again next year and having even MORE Moms and Babies join us! For more information on this years event, please visit The Big Latch On website! ALL Pocket Diapers ship for FREE at Nicki's Diapers!! Knickernappies One-Size Pocket Diapers are a super-trim, side snapping pocket diaper! They are designed to fit babies 8-40 pounds and can be used in the potty training years as pull-on trainers! They come with 2 inserts (size small and large) in your choice of microfiber or Loopy-Do inserts. Loopy-Do Inserts are 2 layers of hemp terry and 2 layers of microfiber for an extremely absorbent option! Knickernappies One-Size Pocket Diapers are available in a variety of pleasing solid colors as well as a NEW Ooga Booga Print! You've won a NEW Planet Wise Green Giraffe Pail Liner! Bummis Super Whisper Wraps are a comfortable and durable cover made from a waterproof laminate sandwiched between 2 layers of soft polyester. This cover has a generous cut that fits over prefolds and fitteds. The adjustable aplix allows for a custom fit and the leg gussets hold even the messiest messes without leaving red marks on baby's legs. Bummis Super Whisper Wraps are available in traditional white as well as a variety of fun prints! These and ALL diaper covers ship for FREE from Nicki's Diapers! In honor of the Fuzzi Bunz Cloth Diaper Light It Up Blue! Campaign to support Autism Speaks, we are giving away A Fuzzi Bunz Light It Up Blue! One-Size Pocket Diaper! We will post our winner on Tuesday, August 16th! Place an order at nickisdiapers.com, myswimbaby.com or clothdiaperclearance.com between 8/2/11and 8/15/11. Include your order number in your entry. Tell us what adding Light It Up Blue to your diaper stash would mean to you! GroVia is discontinuing Ice and Cosmos colors, but we want to make sure that you get your hands on one before they're gone for good! For your chance to win a GroVia Shell in your choice of Ice or Cosmos and choice of closure, enter below! Tell us what new colors you would like to see from GroVia or what new colors you think are coming next! Fuzzi Bunz Light It Up Blue Campaign to Support Autism Speaks! You may have recently noticed a new color, Light It Up Blue!, in the Fuzzi Bunz One-Size and Perfect Size Pocket Diaper line-up! Your eyes aren't playing tricks on you, Light It Up Blue is the same color formerly known as Big Sky, but it's re-named with good reason! For every Light It Up Blue One-Size or Perfect Size Diaper purchased, Fuzzi Bunz Cloth Diapers will donate $1 to Autism Speaks, national advocacy organization dedicated to funding autism-related research and helping families impacted by autism. Tereson Dupy, creator of Fuzzi Bunz Cloth Diapers invented her diapers in 1999 when her son, Eden, was born with severe eczema and was unable to wear disposable diapers. In 2006, Eden was diagnosed with Asberger's Syndrome, 1 in 110 children to live the rest of his life with a form of Autism. Here at Nicki's Diapers, we're happy to carry and promote the sale of Light It Up Blue! 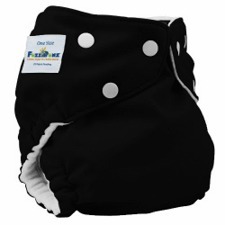 Fuzzi Bunz Cloth Diapers. We hope will add this diaper to your little one's diaper stash, knowing that you will be doing a part to help fund research for Autism and help support families living with Autism daily. For more information on Autism Speaks, please visit http://www.autismspeaks.org/. 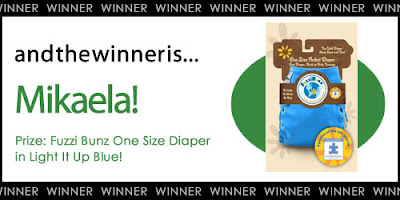 Nicki's Diapers EXCLUSIVE Black Fuzzi Bunz One-Size Giveaway WINNER! Congratulations to Mrs. Smitty! You've won a Black Fuzzi Bunz One-Size Diaper! Congratulations to Kerri Fox! You've won a Blueberry Daytime Trainer in your choice of size and print!